The Zino Platinum Crown Series is a bold and beautiful line of cigars made from a harmonious blending of well-aged Dominican Ligero and rare Peruvian filler tobaccos and Connecticut shade binder. 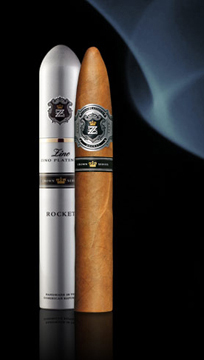 Finished with an Ecuadorian Connecticut wrapper for a touch of sweetness, the expertly constructed, medium- to full-bodied Zino Platinum Crown cigars produce exquisite aromas and flavors, an excellent draw, and the balanced combustion perfected by Zino Platinum. Each cigar we offer in the Platinum Crown is enclosed in a metal tube.